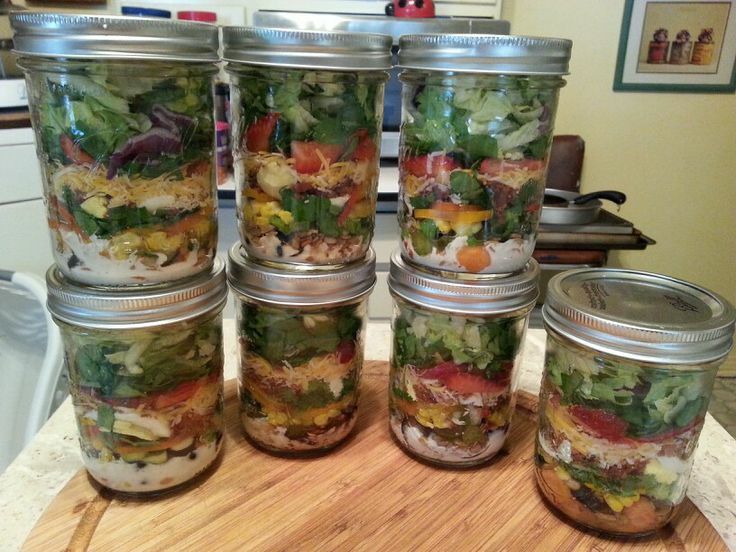 Salad in a Jar, my lunch for a week. First, I gathered my ingredients. I don’t have a recipe, because you put what you like in your jar! I put the dressing, if any, in the bottom, then added the smaller, more dense items. Top off your jars with your favorite greens. I left out tomatoes because their juice makes it runny in a couple days. You can add those adorable little cherry tomatoes, if you want. 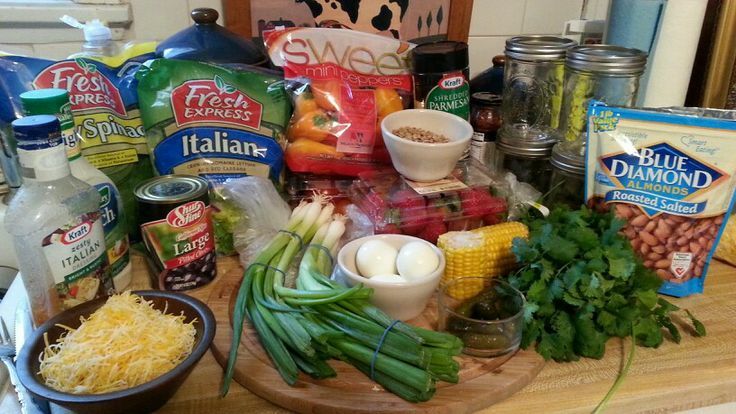 I smushed everything down into a pint size Ball canning jar. You can use a larger jar, whichever you have. Put the lids on and into the frig they go. They lasted and stayed fresh for the entire week!